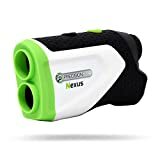 How Should You Choose a Golf Range Finder? Knowing how far away you are from the green is essential for you to estimate how much force to use in your golf swing. 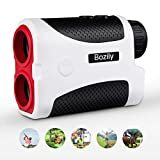 Nowadays, you no longer have to rely on your estimate of distances—you can employ a golf range finder to calculate distances. These devices are useful for both amateur and pro golfers. 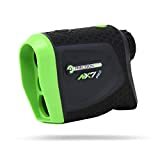 After going through thousands of golf range finder reviews, we have put together a few pointers to make your decision a little easier. 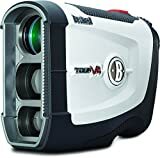 What should you consider before buying a golf range finder? Check accuracy: Your golf range finder should be accurate to within a few meters. Also, take note of the maximum range that the device can be used to measure. 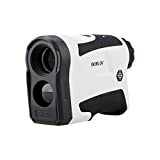 Check the ability to measure slope changes: Pick a range finder which can measure changes in elevation as well. This can help estimate the distance the ball must travel, rather than merely the physical distance. Determine aim: Choose a range finder that allows the person to pick out a single object in the foreground from among other things in the background. 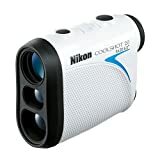 Ensure high magnification: There are golf range finders that also offer magnification. Look for a device that offers a high magnification—you can find devices that magnify as much as up to 7x. Check readability: Generally, a display with red numbers is easier to read. Check the size: The device should ideally be operated with both hands—therefore, avoid choosing a device that is very small. At the same time, since you will be carrying it around the golf course, make sure that it isn’t too heavy. Check the scan mode: This mode allows the user to scan targets when a button is held down—this makes it easier to select the correct object.